Fein is a brand that has earned a reputation for quality and durability over more than 100 years. The newest edition to their fleet of high performance tools is the ASCM 18 QX Fein 18V Cordless Drill Driver. Despite the power of this expertly constructed piece of machinery, it possesses extraordinary finesse. 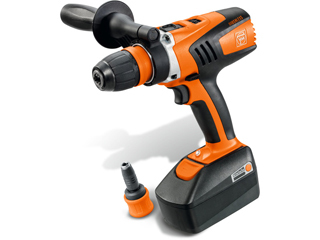 A powerful, 4 speed gear box and a brushless motor offer unparalleled control, and coupled with 4Ah Li-ion battery technology, the drill is capable of fastening a monumental 1800 screws on just one charge. The QX model features a detachable plastic chuck and a high quality magnetic bit holder attachment, whilst sister models in the range feature an all metal chuck. Fein’s brushless PowerDrive motor is 30% more efficient than comparable DC motors, placing it in a completely different league to its competitors. 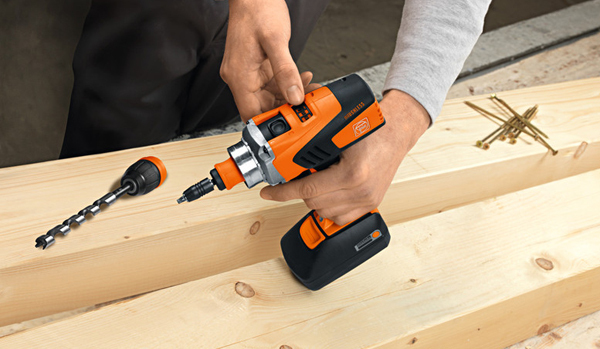 The casing of the 18V drills are completely dust-tight also, and Fein’s SafetyCell Technology provides a separate communication line from tool to battery that protects battery overload and damage. Fein’s brand new 18V Cordless Drill Driver has set a new industry standard and is set to be a mainstay in its field for many years to come. With the perfect balance of robustness, functionality and intelligent design, it will make a companion for life.